If you landed on this page dear mama, it means that you are as frustrated (not to mention desperate) as we all are. 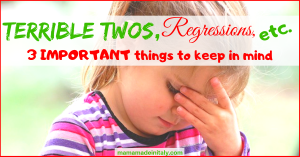 The day has come: your toddler is officially in her Terrible Twos. I hear you! But don’t worry and keep reading, because I’m about to share the secret that will help you … leggi tutto.. 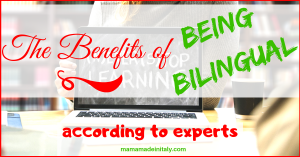 If you, like me, are trying to raise a bilingual kid I want to encourage you to read this article until the end because I’m going to reveal to you all the benefits of being bilingual. I promise I’m not making these things up. They’re real according to the most reliable Italian and European experts. 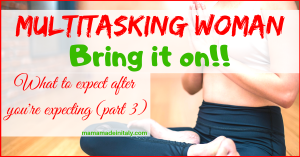 … leggi tutto..
Hey you, super busy woman with 2k commitments since the age of 12! Yes, you! You thought you already were a multitasking woman all-round? HA! Wait until you become a mother! You’ll find out you had hidden resources you couldn’t possibly imagine. Not to demote those women who don’t have children. Actually, if you’re already … leggi tutto.. 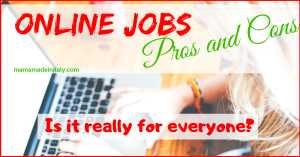 According to an interview to Sara Sutton Fell, CEO and founder of the popular website Flexjobs, there are more and more worldwide companies offering remote and/or flexible jobs. This growing trend is apparently due to both logistic and financial benefits for the companies themselves, but also to a consistently increasing request from workers. I personally … leggi tutto.. When your baby starts walking is when your training begins, mama! Dear mama.. My friend! Have you poured all your tears of joy when your baby finally put a foot in front of the other without slamming her face on the floor? Then get ready! Because what I’m about to say will make you smile, … leggi tutto.. 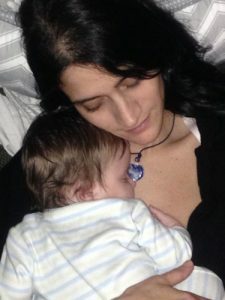 Working Mama, wife, blogger, Italian inside, American outside…. A mess pretty much everywhere!